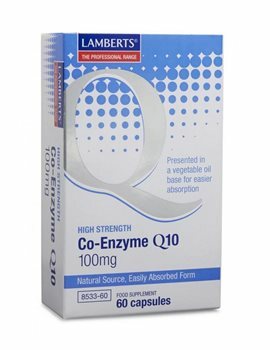 Lamberts Co Enzyme Q10 is presented in a vegetable oil base for easier absorption and is endorsed by one of the original researchers who first discovered Co ENzyme Q10. Sunflower Seed Oil, Capsule Shell (Gelatin, Glycerin, Colour:Iron Oxide), Co Enzyme Q10, Sunflower Lecithin, Glyceryl Monostearate. Do not exceed recommended daily dose. Do not take if pregnant or breast feeding. very good and very fast delivery!! !